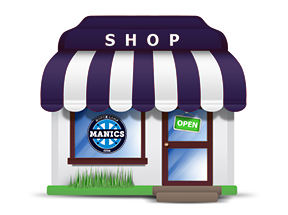 Bracknell Manics made it 3 wins from 4 so far this season with a somewhat frustrating, nail-biting, yet refreshingly squeaky clean 3-0 victory over Ashridge Park in Wokingham. Manics were welcomed without changing rooms, which meant one thing – no showers. It was going to get downright dirty at Barkham Rec against Ashridge Park. Having battled back and forth for over a decade, there were plenty of stories to share. The two sides would meet yet again, this time in the first round of the Bracknell Town Senior Cup. After a fantastic opening 20 minutes, where Manics were all over their opponents like a flannel on face, scrubbing hard at their back line like a well-soaked loofer, the Manics had to soak up a little bit of pressure themselves. However they got lucky when a defensive mix up saw the loose ball squirm out of James Robinson’s hands like a slippery bar of value soap. To the keepers relief the Ashridge striker knocked the ball clear over the bar in front of goal. Meanwhile, Glenn Evans was irritating the opposition midfield like an unfortunate case of eczema that needed a good rub over with a moisturiser – but still, Manics couldn’t convert their chances, Lee Blackman coming closest hitting the post. Half time whistle left the scoreline 0-0, players having hot and cold feelings as they reflected upon the past 45 minutes of play. The Manics management duo of Judge and Patsalides were scratching their Head and Shoulders in an attempt to come up with the missing Lynx. However, their frustrations were short-lived as Jamie Gaff continued his hot-streak in front of goal with a great strike from a Spencer Blay through ball. The tap had well and truly been turned on now and it wasn’t long before Manics were bathing in more Gaff Glory as the hit man became everyone’s best Matey with his second goal, provided by Blackman. The quality of passing across the midfield between Blay Jnr, Blackman, and Dan Soady had been excellent the whole match, and Gaffs two goals were examples. Lawrence Munns had been substituted on to Sure up the defence, management convinced he was the Right Guard for the back line as Ashridge pumped men forward like rubber ducks. They weren’t ready to throw in the towel yet as Simon Blay, Robinson and Kirk Morton made vital blocks to keep the clean sheet. Manics Starting XI: Robinson, Blay Snr, Morton, Mitchell, Davies, Evans, Blay Jnr, Soady, Blackman, Clapson, Gaff.